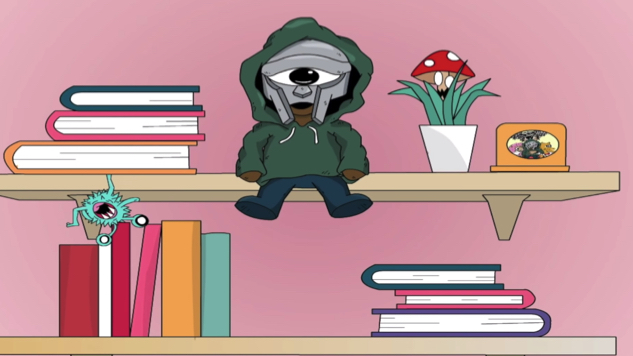 Watch the New Animated Video for MF Doom's "One Beer"
MF DOOM has released a new animated video for his classic cut “One Beer,” off his 2004 album MM… FOOD. The video, directed by Anhia Zaira Santana, aka Distortedd, is accompanied by the release of “One Beer” T-shirts, limited to a run of 500. The tongue-twisting drinking ode gets a psychedelic coat of paint in Distortedd’s video. Anime graphics intermix with druggy visuals, her pastel-shaded animations giving a counterpoint to DOOM’s gruff, patchouli-infused bars. The same illustration style is present on their T-shirt collaboration, mixing tentacles and beer in equal weight. See the T-shirts here and the “One Beer” video below.